The current version of Windows Activation Technologies Plugin you have installed in your firefox came with your Windows 7 update. Windows Activation Technologies or WAT helps you (or Microsoft) confirm that you are running genuine copy of Windows 7 in your computer. Additionally, WAT protects against the risks of counterfeit software. Windows Activation Technologies in Windows 7 consists of activation and validation components that contain anti-piracy features. 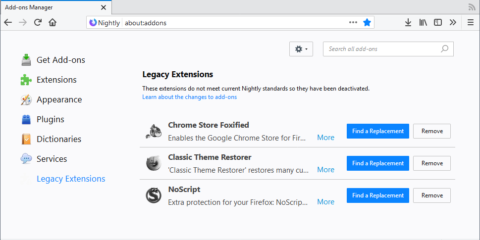 There is no harm in removing this plugin from your Firefox. It won’t make any difference in your browsing experience. You may find some problems in Microsoft sites, if you want to download something which is available for Genuine Windows users only. You will have to verify your account by some online validation. This plugin allows to install things directly from Microsoft site without having to download validation tool. Having this plugin in your browser and using online validation, both do the same thing. Make your choice. This plugin is installed when you have recommended update or install all update in Windows Update setting. If you install update manually, you can choose to install kb971033 update. npWatWeb.dll is installed in your system with this plugin. If you see this file, don’t be scared, it’s part of the system. The post Current Version Plugin Windows Activation Technologies appeared first on New Version Plugin.